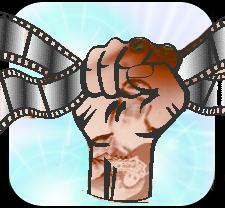 or send a check to our snail mail address. 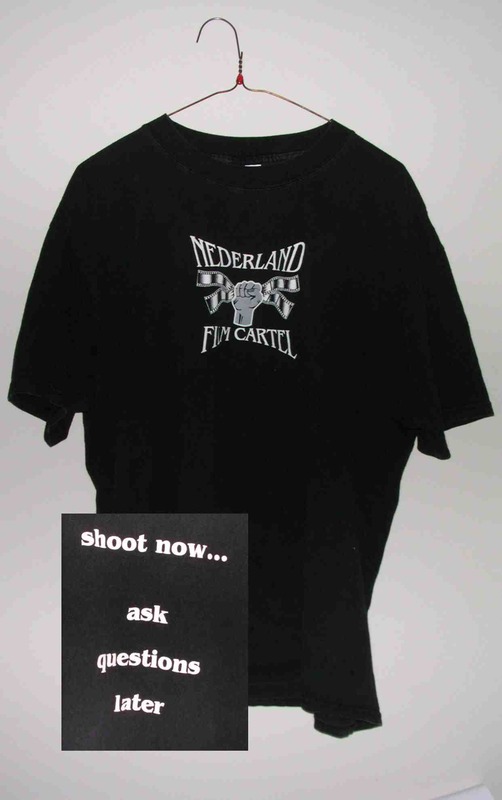 The original white/grey Nederland Film Cartel art on a black Hi-Quality Cotton T .
NFC logo on front, "Shoot Now...Ask Questions Later" on back. $20.00 plus S&H. Our eternal gratitude is included at no extra charge!